Workpoints: Timesheets? Meh. Coffee? Yeah! Let's be honest - there are some tasks at work that are just, well, meh. One of the biggest offenders has to be filling in timesheets. We get it - they're super important for many businesses to run, from consulting to advertising. But even the most motivated team member sometimes slips up, and that's where all round frustration sets in. So what's the usual answer? That's right, constant follow up emails and nagging, creating more 'aaarrrgggg' in your employee’s lives! 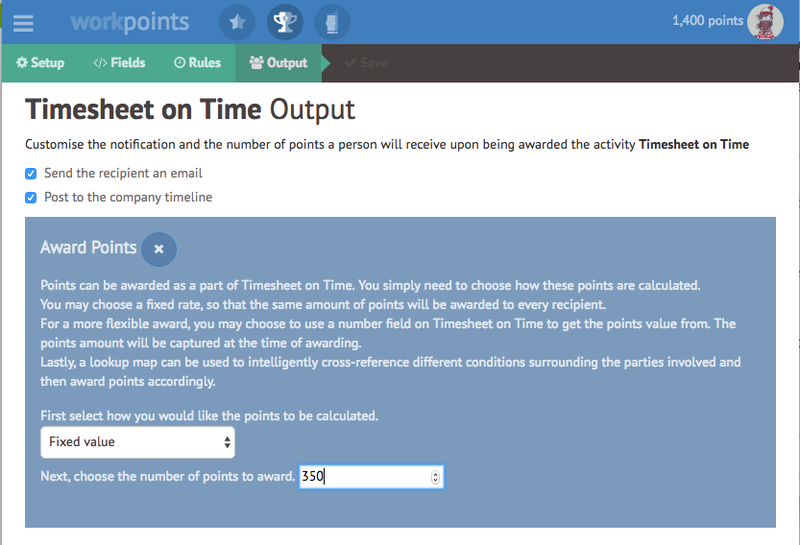 But with Workpoints, you can try something different! 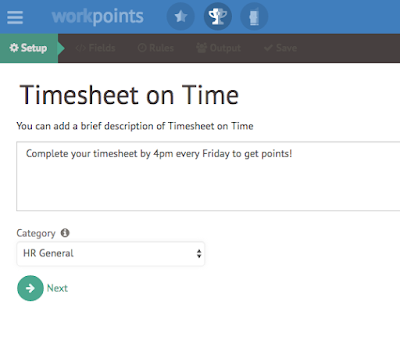 Step 1: Using Workpoints you can create a new activity called, for example, "Timesheet on Time". Your employees will achieve this activity if their timesheets for the week are completed by Friday at 16:00. 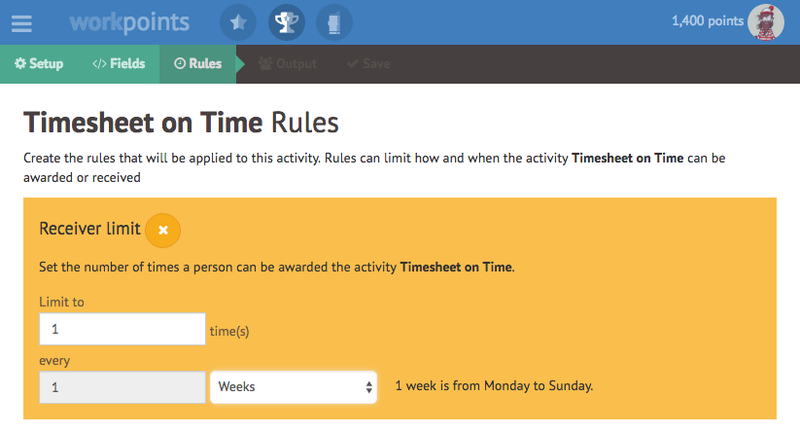 Step 2: Next, you’ll need to set specific rules for the activity: How many times can an employee achieve this activity per week? You’ll also need to limit who can award the activity, can only administrators of your programme award this activity or Team Leaders too? 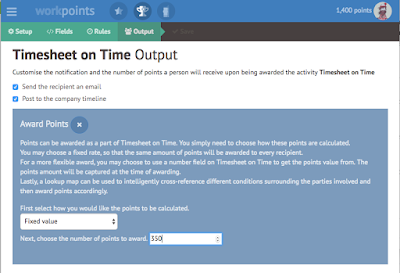 Step 3: Then the most important part, you’ll need to allocate some points to the activity! This part is up to you and, of course, your budget. It doesn't have to be extravagant, how about just a few points each week that accumulate towards a Vida e Caffé voucher?! Step 4: Lastly, you will need to hit save, which makes the activity available for all to achieve. At the end of each week all you need to do is upload a list of people who have completed their timesheets (most systems allow an Excel/ CSV export, which makes things super simple). Its that easy in 4 easy steps, the rest is up to us. Workpoints will automatically send a Thank You email to the employee for getting things done as well as announce it on the company timeline to let others know what a great job they’re doing. Another small way to turn the 'meh' into 'yeah' with Workpoints! Want to give it a go? Head over to www.workpoints.co.za for a free trial.